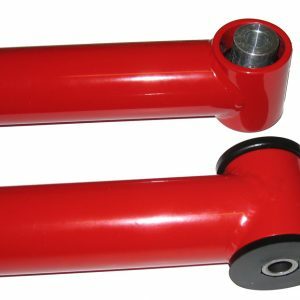 It has become common practice to replace the stock rubber control arm bushings with solid or two piece polyurethane bushings to resolve the shortcomings of the soft rubber bushings. 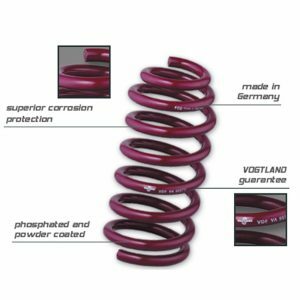 Hard polyurethane bushings eliminate wheel hop, reduce axle deflection, and improve rear straight line grip. 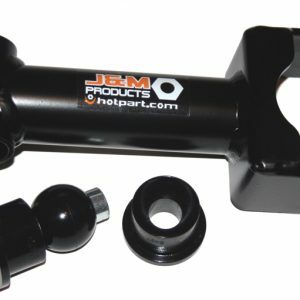 However, the downside of common aftermarket bushings such as delrin, steel, stiffer rubber, solid or two piece polyurethane bushings is they prevent the necessary movement of the control arms during body roll, which in turn produces significant binding in the suspension when the vehicle is cornering. 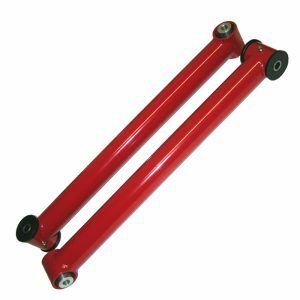 The polyurethane bushings also place unnecessary high stresses on the torque boxes, which are the attachment points for the control arms to the chassis. Standard aftermarket control arms do not allow for rotation of the control arm during cornering because of the stiffness of the bushings. 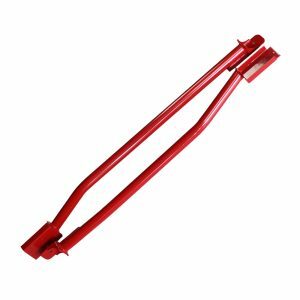 Available in Red and Black powder coated finish for a long lasting durable coating. 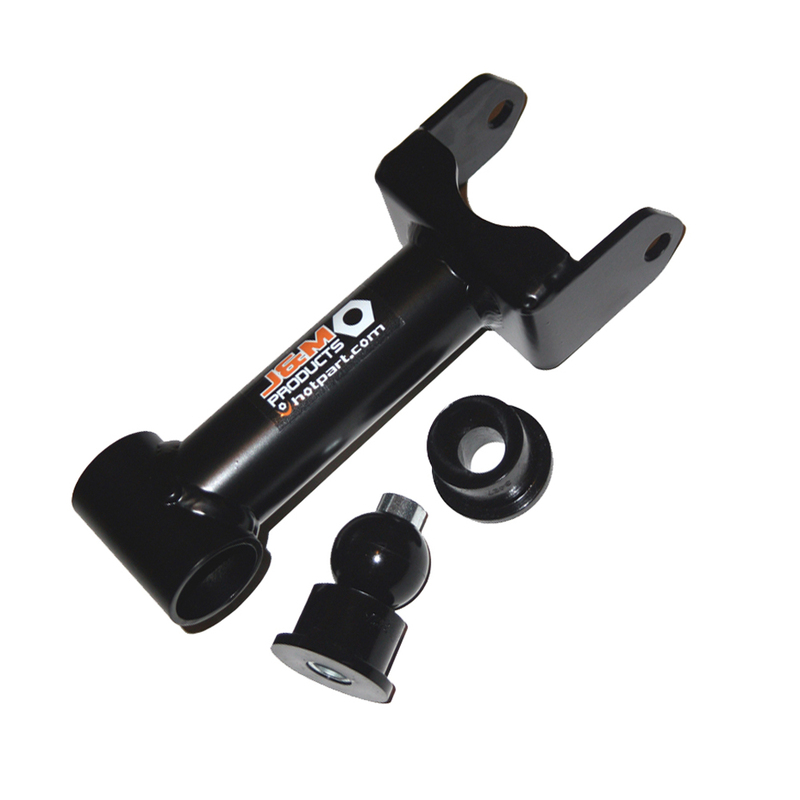 We at J&M Products designed and built a tubular Lower Street Control Arms Weight Jack Adjustable control arm which will eliminate the unwanted uncontrolled control arm flex. 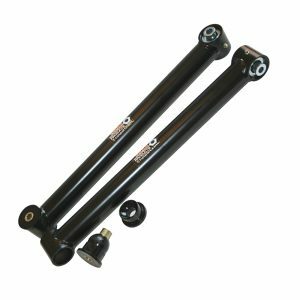 Round tubing is harder to work with but has many other advantages over square or rectangular tubing. It is stronger in bending, torsion, and also lighter than square or rectangular tubing. 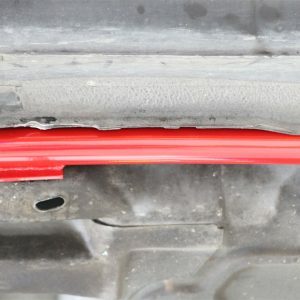 We then solved the shortcomings of the factory rubber and other aftermarket polyurethane and stiffer rubber bushings. This was accomplished with our Patent Pending 3 piece Poly-Ball bushing combination. 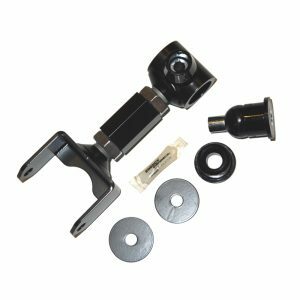 By spending countless hours looking and dissecting the geometry and the need of the rear suspension we come out with bind-free bushings set up. Our Patent Pending Poly-Ball bushing combination incorporates a very hard inner polyurethane ball which is surrounded by soft socket outer cups. 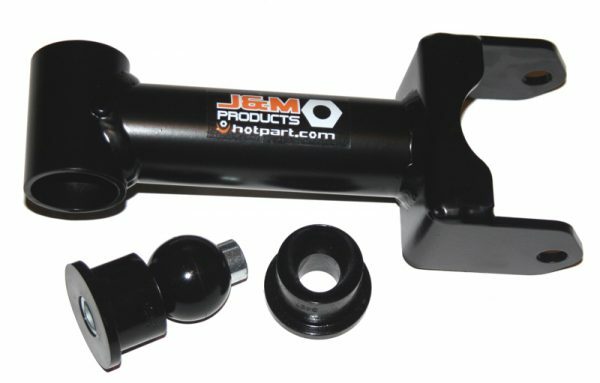 This combination allows the bushing to articulate like a spherical bearing during cornering but the hard inner ball does not allow the bushing to deflect during acceleration giving you great traction during acceleration like solid bushings but remains completely bind free like a spherical bearing during cornering for great predictable traction in the corners. 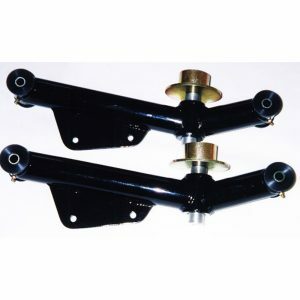 Lower Street Control Arms Weight Jack Adjustable eliminate many of these factory softer bushings.